Carriers require alternative solutions as networks speed up, insisting high-bandwidth CPE response reach their preferred demarcation point. 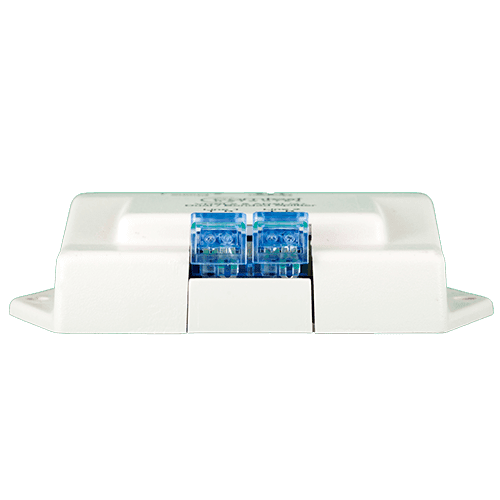 The CPE-FB simplifies and reduces installation time of bonded services in customer’s home or business. 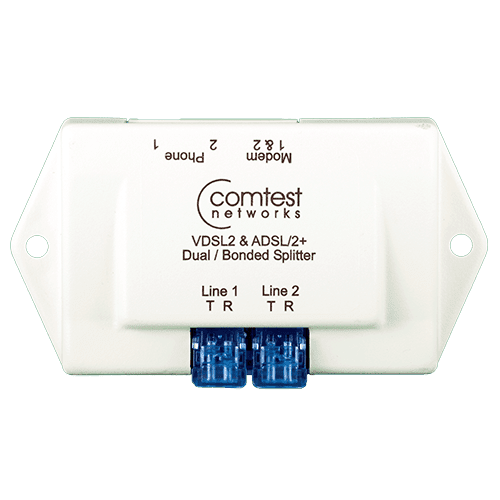 The Comtest Bonded CPE (CPE-FB) is a full dual low-pass filter designed to enable up to two POTS services to coexist with two-line bonded ADSL2+ or VDSL2 data signals up to 30MHz. Standard bonded splitters simply pass the second pair through and leave it untreated. 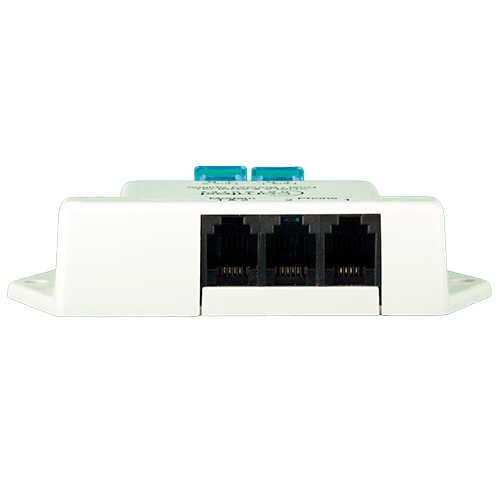 Our unique CPE-FB filters both pairs, thus supporting an additional POTS line or billing service on the second pair. In addition, treating the DSL signals on the second pair maximizes data rates to take full advantage of the bonded xDSL service. Compliance T1.413, T1.424, ITU-T G.992.1, G.992.3, G.992.5, G.993.1 & G.993.2, CSA/UL 60950, FCC part 68,CS03, GR1089 CORE (Level 1 & 2 Surges and Power Fault), GR3167 CORE, K.21, CSA, CS03.